Kentucky’s most famous stew is called Burgoo and often served at large gatherings. Burgoo dates to back before the Civil War and legend has it that it was invented by a French chef. During our visit, Kentucky was cold and damp, and this treat was definitely in order for the dogs. 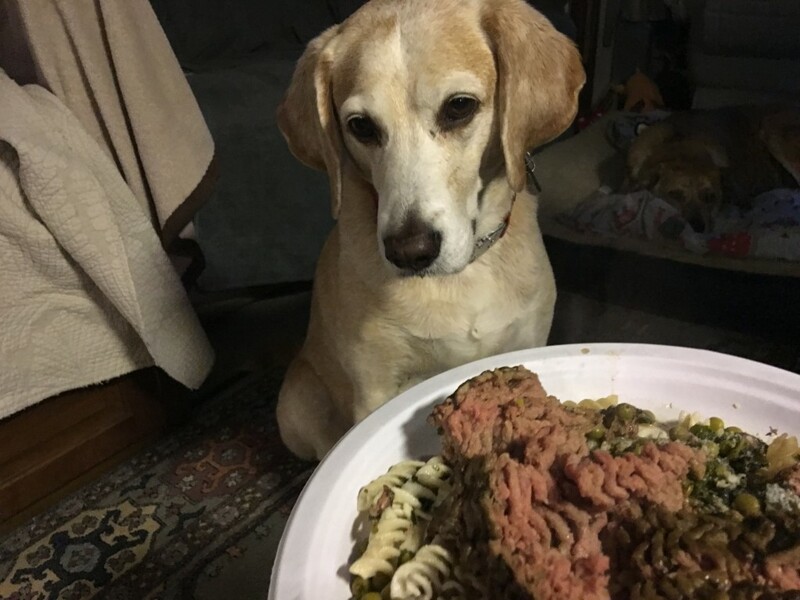 We used dog friendly vegetables and seasonings which made for a delicious meal. Locals say that you shouldn’t be able to stand a spoon in it. Good thing that dogs don’t use utensils! This recipe makes a lot, so portion out once cool and freeze in air tight containers to yummy leftovers! Can you share? Of course, but you may want to add a bit of salt for yourself. Heat olive oil on medium-high heat in a large soup pot. Working in batches, brown all the meat on both sides. Remove meat and put in a bowl. Add the vegetables to the pot and brown them as well. When the vegetables are brown, add back the meats and add seasoning and broth. Bring to a simmer, cover and reduce heat to low. Simmer for 2 hours. Let cool completely before serving to your dog. You may serve over brown rice pasta or brown rice.